Say It With Letters - BOO! Here's my final project for the Say It With Letters blog. I received this chunky set of BOO letters and went to town! 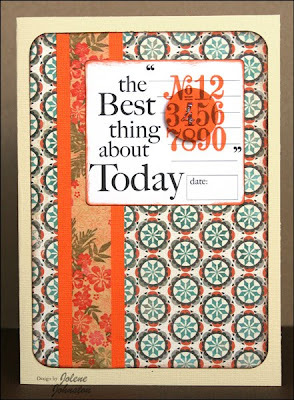 All three letters feature paper from the Making Memories Spook Alley collection. 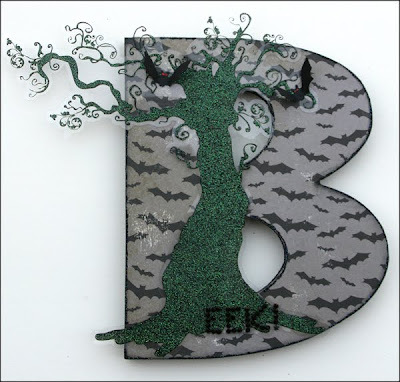 The B also has a Fancy Pants glittered transparency tree, QuicKutz bats and Die Cuts With a View bling EEK. I knew that I wanted to add a critter in the opening of one of the O's, so this black kitty cut on my QuicKutz Silhouette was perfect! 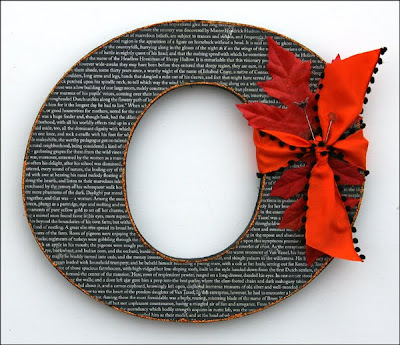 The final O has some May Arts ribbon, silk leaves and Halloween pins from Making Memories. I love adding all the finishing touches! 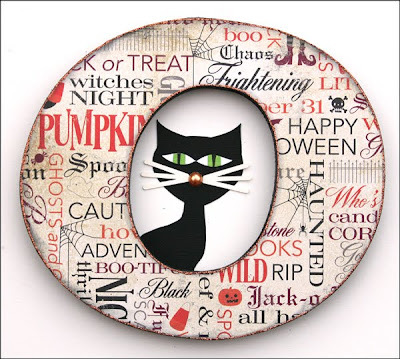 Be sure to check out the other Design Team versions of the boo letters in this SIWL blog post as well as ideas for other fall and Halloween shapes. Happy haunting! This is it, kids. Today is the final day of SKETCH FEST with Caardvarks. 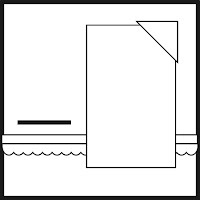 Create your last card using the sketch and upload it to 'Varks using Mr. Linky by 7 AM PST the following day to be included in our prize drawings. Prizes and a Caardvarks DT spot are up for grabs! Here's my take on Heidi's final sketch. 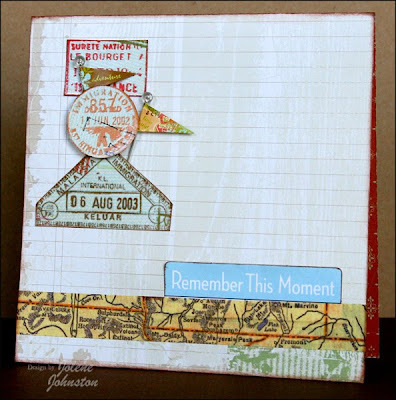 I had fun using a Studio Calico stamp on the Little Yellow Bicycle journaling card. I also rotated the sketch. Be sure to upload your last card for a chance to win! Only two more days of SKETCH FEST with Caardvarks left! Create your card using the sketch and upload it to 'Varks using Mr. Linky by 7 AM PST the following day to be included in our prize drawings. Here's my take on Heidi's sketch. I love those pins by Making Memories. I hope they keep making them! 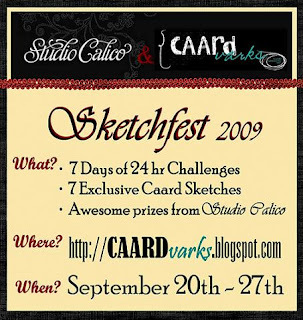 Ready for more SKETCH FEST with Caardvarks? Create your card using the sketch and upload it to 'Varks using Mr. Linky by 7 AM PST the following day to be included in our prize drawings. Did you ever want to work side by side with the 'Varks crew? The grand prize winner is joining our team! Here's my take on Heidi's sketch. I think this is my favorite one from the whole week! Read for more SKETCH FEST with Caardvarks? Create your card using the sketch and upload it to 'Varks using Mr. Linky by 7 AM PST the following day to be included in our prize drawings. In case you hadn't heard yet, the grand prize is a spot on the Caardvarks crew! Whohoo! Here's my take on Heidi's sketch. KNOW THIS is an awesome stamp from Studio Calico. It's SKETCH FEST with Caardvarks! Create your card using the sketch and upload it to 'Varks using Mr. Linky by 7 AM PST the following day to be included in our prize drawings. In case you hadn't heard yet, the grand prize is a spot on the Caardvarks crew! Whohoo! Here's my take on Heidi's sketch. I turned it sideways to accomodate the larger sentiment. What will you make? It's SKETCH FEST with Caardvarks! Create your card using the sketch and upload it to 'Varks using Mr. Linky by 7 AM PST the following day to be included in our prize drawings. Prizes include Studio Calico kits with the grand prize being a spot on the new Caardvarks Crew term which begins November 1!! Isn't this fun? See you tomorrow! It's SKETCH FEST with Caardvarks! Starting today we'll be posting one sketch per day by the fabulously talented Heidi Van Laar for you to use. Studio Calico generously supplies the 'Varks crew with kits for this week of fun. Thank you! Create your card using the sketch and upload it to 'Varks using Mr. Linky by 7 AM PST the following day to be included in our prize drawings. Prizes include Studio Calico kits with the grand prize being a spot on the new Caardvarks Crew term which begins November 1!! Here's my card. Where's yours? 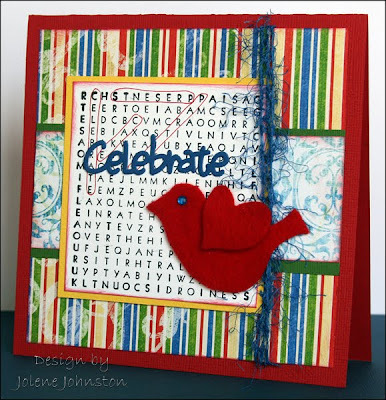 GCD Blog Hop: Final Day! ETA: The hop is now closed. The winners are posted at 'Varks! Welcome to our final day of of projects made with products from GCD Studios. If you came from Michelle's blog, you are in the right place! If you just wandered onto my blog today, start back at the 'Varks blog to visit all of today's blog posts. 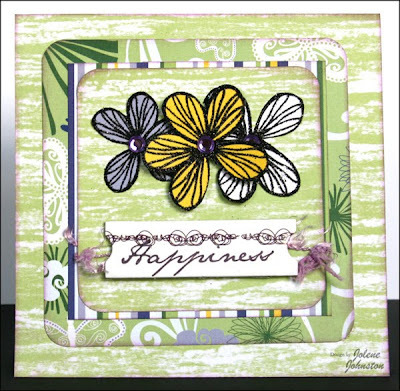 Here are some of the cards I made using GCD's Vintage Boy collection of papers and die cuts. This card also uses chipboard from their Lustruous Limes pack. And here are a few cards made with the Bright Skies collection. I also used Majestic Purples chipboard and Rub On Art. The glittery flowers were handcut from paper in the collection. So get back to hoppin'! Here's the full list of today's Caardvarks DT members and the order of the hop. Your next stop is at Daniela's blog. Welcome to day 2 of our showcase of projects made with products from GCD Studios. Get hoppin' over at the 'Varks blog and be sure to come back tomorrow for our final day of hoppin' fun! 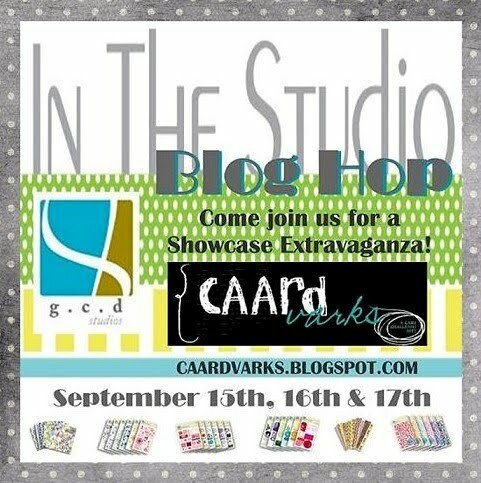 For three inspiration-packed days, the Caardvarks team is splitting up to share some awesome projects made with products from GCD Studios. So get hoppin' over at the 'Varks blog. Be sure to come back the next two days for more projects and hopping fun! I'm so ready for fall! Making this card really got me into the autumn spirit. Want to learn how to make it? 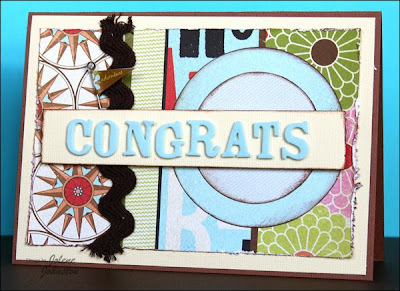 Head over to the myStampBOX blog for a step by step tutorial. Enjoy! 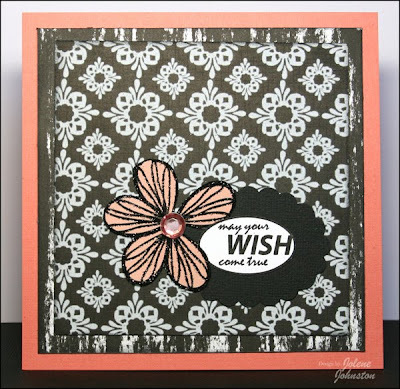 ABC Blog Hop with myStampBOX! ETA: The prizes for this hop have been awarded. 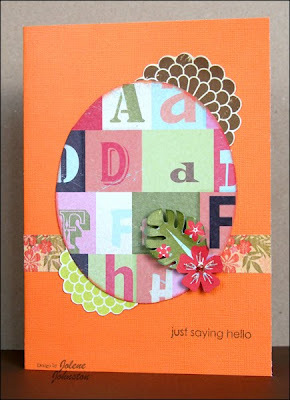 Welcome to the ABC Blog Hop with myStampBOX today! You should have arrived from Gudrun's blog. 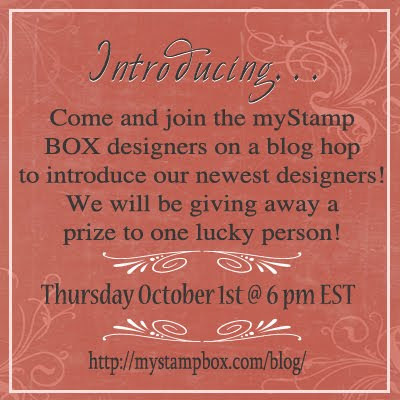 If you have just happened upon my blog today, you may want to head to the start of the blog hop today, the myStampBOX blog. 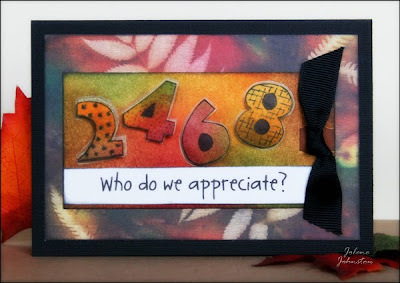 For participating in the blog hop by leaving a comment on each and every participating myStampBOX designer's blog, you have a chance to win one of TWO brand new stamps sets being released this month! So leave a comment on all the blog posts and then come back to the mSB blog and tell us what your favorite project was along the way for a chance to win! Have fun! 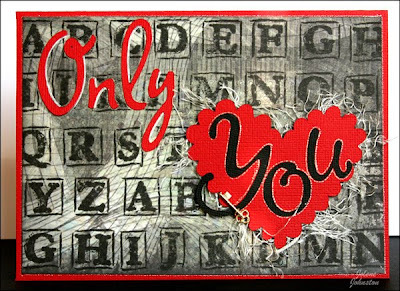 Here's the card that I made using the Letterboxes set of alphabet stamps from myStampBOX. 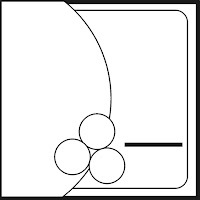 (Quick side note: this style of alpha stamps also comes in a larger size!) I started with a distressed piece of We R Memory Keepers "Teen Angst" paper as my base. I lined up the individual alpha stamps onto two different clear acrylic blocks, lining them up in a grid. I inked up all the letters on one block and stamped them as one large unit. Depending on how the alphabet landed on my paper, I continued stamping one or two individual letters until I could start over with the groups on the blocks. 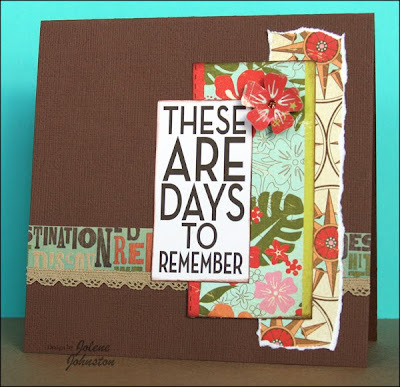 It made for some fast and easy stamping! The result is a cool custom background paper. 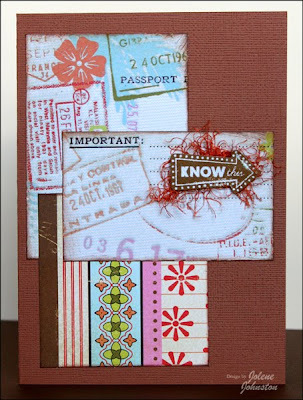 I also used this set of stamps on layouts shown here and here. Now hop on over to Leicas blog. Happy hopping! 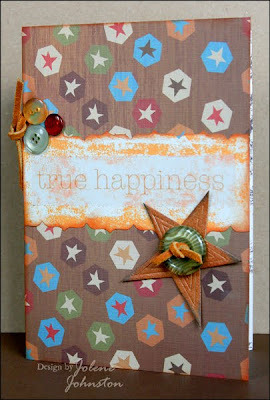 As always, the 'Varks crew created an entire gallery of projects with DRS Designs stamps. Be sure to stop by and check them out! Prize: DRS Designs blog candy! 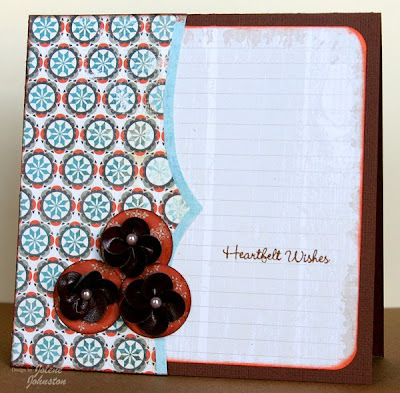 For my first card I used the Large Margarita stamp and one of Heidi's sketches turned on its side. I had fun coloring and shading with Prismacolor pencils and Gamcol the cut out the image to layer onto the card. Every good margarita deserves its share of salt, so I added some chunky, glittery goodness to the rim with Icicle Stickles. Cheers! 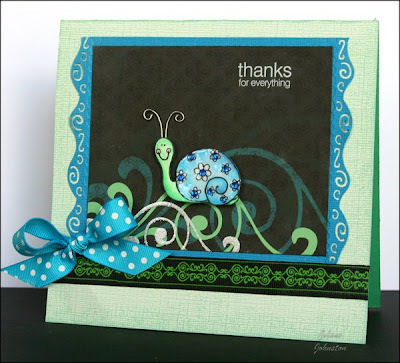 This card ramps up the cute factor, big time! 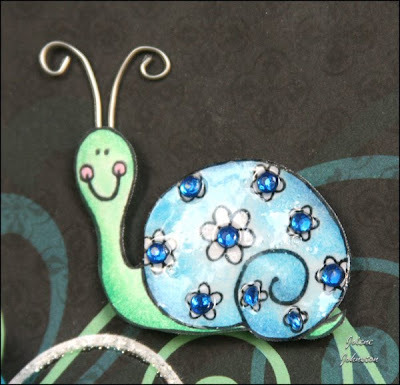 I used the DRS Sally Snail stamp and did more Gamsol shading. I decided to add some blue gems to the flowers on her shell and add a coat of Glossy Accents. I also added some wire for her antennae. I love how she turned out! 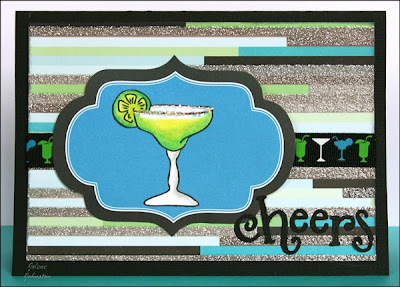 This card and the margarita one both feature papers and ribbon from Die Cuts With a View's All Dressed Up collection. My final card uses the Birthday Wordsearch stamp. There's also a kiddie version of this stamp available. This stamp comes with a printed list of words to search for printed at the bottom of the stamp. I decided not to include it on this card since it uses some "over the hill" words such as antique, memory loss and senior discount. 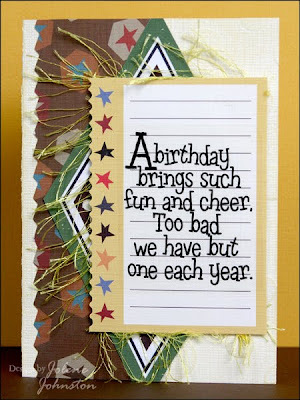 Since this birthday card was for my mom, I decided that I had better not include them! I chose instead of highlight words such as celebrate, parties and presents. 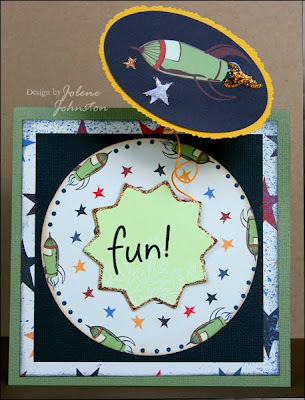 It's a fun way to use one stamp in two very different ways. The bird is made of felt, and the papers are from Bo Bunny. If you like this sketch challenge, be sure to check back between September 20-27 when the 'Varks will be offering some rapid-fire sketch challenges. See you then!